WASHINGTON — The British government March 3 trimmed a list of potential sites for a commercial spaceport to six, although the public corporation that operates two airports on the list says it is not interested in pursuing a spaceport. The British government, in a joint statement by the U.K. Space Agency, the Department for Transport, and other agencies, released the outcome of a consultation on criteria for a commercial spaceport prepared by the Civil Aviation Authority (CAA) in 2014. That report identified eight potential locations for a spaceport in the U.K.
After receiving feedback from industry, various government agencies, and the general public, the government said in its 21-page report that it was eliminating two locations in Scotland, the Royal Air Force (RAF) base at Lossiemouth and Kinloss Barracks, from future consideration because of planned military use of the facilities. That report said that the Ministry of Defence “ruled out further consideration of Kinloss Barracks and RAF Lossiemouth because of overriding operational factors.” A third site in Scotland, RAF Leuchars, was kept on the list, but only as “a temporary facility for a limited period of time” given future military use of the air base. The remaining five sites include three airports in Scotland: Campbeltown Airport, Glasgow Prestwick Airport, and Stornoway Airport. Another site, Llanbedr Airfield, is located in Wales, and Newquay Cornwall Airport is in southwestern England. However, Highlands and Islands Airports Ltd., the Scottish public corporation that owns and operates Stornoway Airport and manages Campbeltown Airport, said March 3 it had no plans to develop spaceport proposals for those two sites. “Our preference is to concentrate on our core business of providing airports that serve the people of the Highlands & Islands,” Grenville Johnston, chairman of the board of Highlands and Islands Airports Ltd., said in a statement about the decision. The corporation, he said, would be willing to provide the local group that owns Campbeltown Airport “every support and cooperation” should it decide to pursue a spaceport on its own. In contrast, officials with Glasgow Prestwick Airport welcomed being kept on the spaceport list. “I believe Prestwick offers the perfect conditions for space launches and our extensive developed concrete airfield and three-kilometer runway provide the facilities needed for all types of reusable spacecraft in development,” airport chief executive Iain Cochrane said in a March 3 statement. The next step in the spaceport development process, the government said in a statement about the report, will be the publication of detailed technical specifications of spaceport requirements by the Department for Transport. Those specifications are scheduled for release later this year. Launching from the U.K., he said, is made challenging by a high volume of air traffic in British airspace and limited land available for spaceport or even airport facilities. “You can’t believe the trouble we have in the U.K. of putting another runway in, let alone putting a spaceport in,” he said. 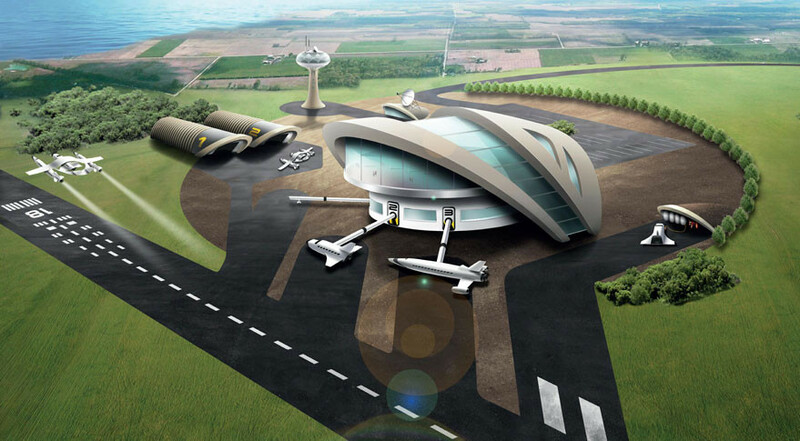 The British government has the goal of opening a commercial spaceport by 2018. Stubbs said it’s possible that, depending on the specifics of the bidding process yet to be established, the government could select multiple spaceport sites from either the current shortlist of airports or other facilities that demonstrate they meet the technical specifications to be created by the Department for Transport.